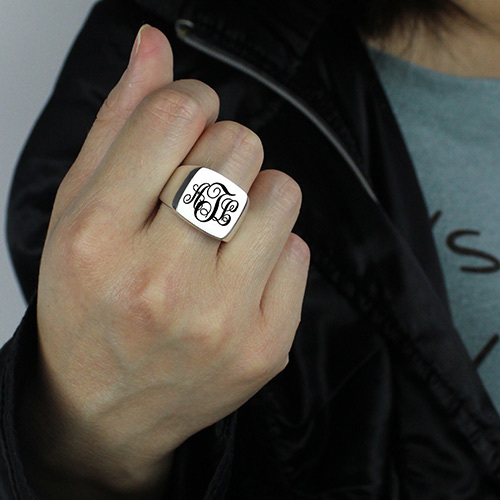 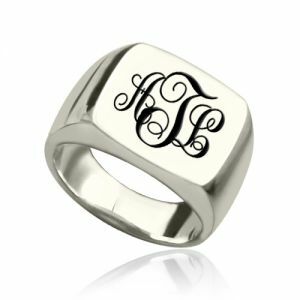 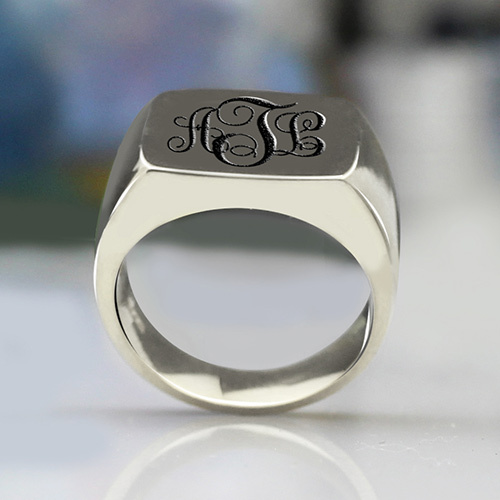 Personalized Class Signet Ring with Monogram - Our classic Signet Ring in Silver with Engraved Monogram is beautiful and can adorn any finger on your hand. It is a special design that will never go out of style. 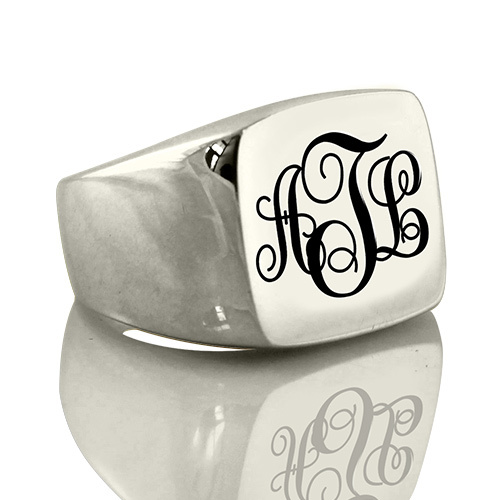 It is the perfect Christmas gift monogram ring for men or for women! You can get up to three initials engraved on this monogrammed ring.